The Stonegate East is a new planned development and an extension to the Woodbury and Woodbury East communities. The homes were developed by the Irvine Company with an approximate 263 homes currently built while newer construction homes are still being built off of Sand Canyon Road and Irvine Blvd. 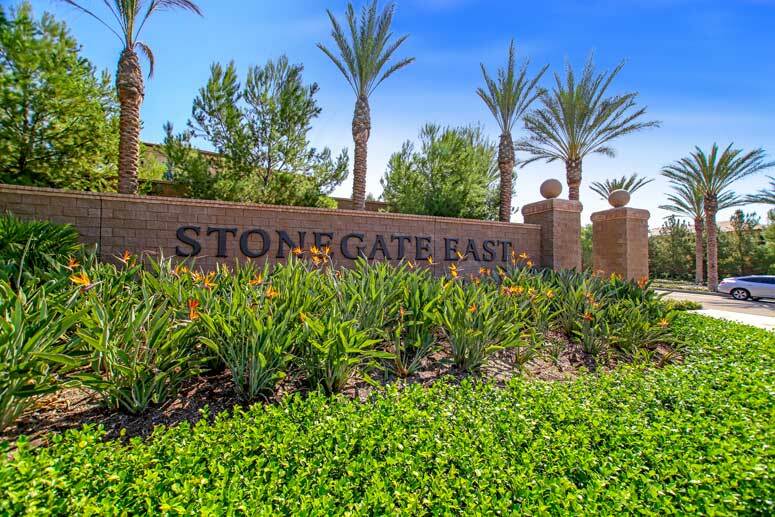 There are three communities with Stonegate East that consist of Santa Rosa, Capistrano and Los Altos. The Santa Rosa community features smaller one to two bedroom flats and townhomes starting from the high $300,000 range and built by Van Daele Homes. The Los Altos community homes offer two to three bedroom townhouses that range from 1,468 to 1,687 square feet with prices starting at around $470,000. The Capistrano community homes features thee to four bedroom townhouses that have the look and appearance of a detached home. They range from 1,823 to 1,956 square feet and start in the mid $700,000 range and built by Irvine Pacific home builders. The Stonegate East community is conveniently located within a short driving distance to local stores and restaurants at Town Center and Orchard Hills Village Center. Children who live here attend award-winning Irvine Unified schools that include Stonegate Elementary School, Sierra Vista Middle School and Northwood High School. Amenities are great with the exclusive Bluebird park in the center of village offering swimming pools and plenty of room for children and pets to play. Homes are managed by Crummack Huseby property management company and their phone number is 949-367-9430.